Whether you’re a leaver or a remainer it is difficult to deny Brexit has had dire consequences for race relations in the UK. Roma are no exception. Families identified as Roma have had a treacherous path to UK citizenship, often despite (or even because of) EU accession rules. Regardless of legal migration status, many Roma in the UK have had their intimate lives laid bare and opened to scrutiny in order to assess whether they ‘deserve’ to be here. 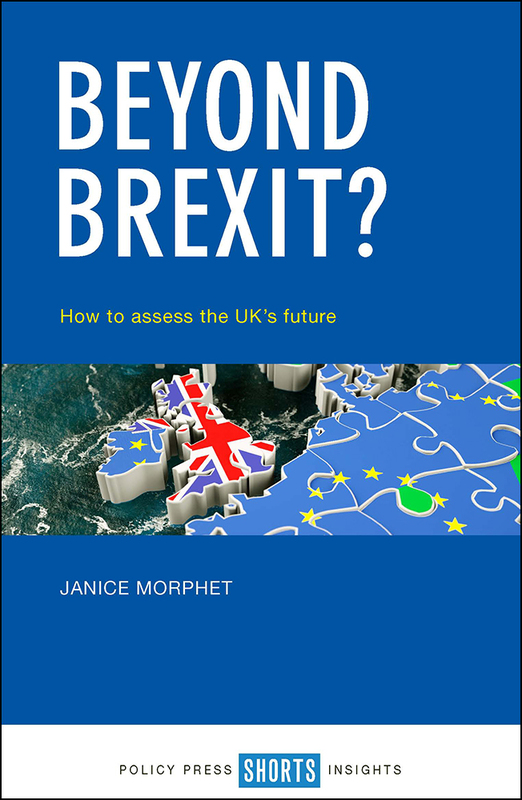 The shifting criteria of ‘deservingness’ are likely to become even more complicated – and challenging to navigate – post-Brexit. Already, the deepening consequences of austerity, with its continual outsourcing of frontline work exacerbating gaps in social support, rising fees for citizenship procedures, and increasingly complex legal statuses within the UK’s ‘hostile/compliant environment’, create bewildering constellations of regulations and processes. My new book ‘Home-land’ shows how – in the face of regulatory incoherence – the importance of individual discretion and value judgements take centre-stage. For the Roma families I lived with over the course of a year during the lifting of EU accession regulations, the consequences were stark. Combining first-hand research, detailed analysis and compelling individual stories, I show how apparently legal distinctions were replaced with the surveillance of intimate family relations and domestic arrangements as the criteria on which legal status and belonging was judged. For many (but especially women), their ability – or otherwise – to perform ‘deservingness’ in their own homes, could be life-changing. 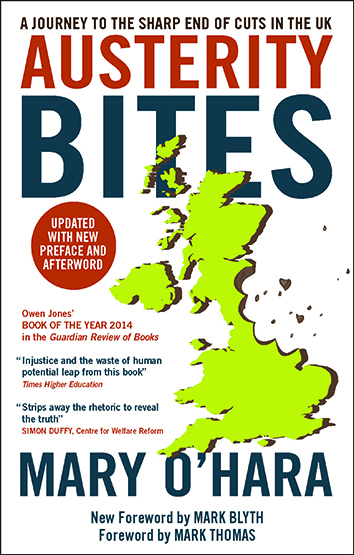 The book’s insights provide profound lessons for a post-Brexit, late-austerity UK, whatever Brexit may turn out to mean. ‘Home-land’ is based on extensive fieldwork with Roma families living in Luton. Luton, like many places in the UK, felt the hit of the financial crisis leading to empty shops in the high street and rising unemployment. Austerity was sharply felt in local government. Dramatic cuts to local services contrasted with increasing demand for support from residents including high unemployment, exacerbated by declining business rates. The result was the collapse of support services and NGOs. Children’s services were left to bear the brunt of supporting families, while their frontline staff had limited resource or training to deal with the complicated legal statuses of new migrants. Frontline workers tried their best, but quickly had to choose who to support – and how. Under extreme pressure from an audit culture, a habit of formal and informal ‘home visits’ (sometimes going on late into the evening) became the primary mode of engaging these families. These home visits could put extreme stress on Roma families, already facing many personal and domestic challenges. In one example featured in ‘Home-land’, we follow a young mother called Cristina preparing for a home visit. She lives in private-rented slum housing in Luton with broken doors, windows, damp, rats and leaking roof. From the time she wakes up at 7am Cristina cleans the house. She tidies away the signs that there is another family sleeping in the downstairs room (to help her family pay the rent). She dresses herself and the children in the clothes they wear for church and she gets toys that were in a cupboard upstairs and throws them around the room, placing her children amongst them to create the ‘right kind’ of mess. When the Children’s Centre officials arrive, her demeanour changes suddenly from frantic to a show of stillness, calmness and quiet. When the women leave, she flops down onto the sofa, completely exhausted. It was at times like this, heard many times from mothers, that they felt a strong reaction: they didn’t want people coming and looking at their kids. Who would? Mothers were afraid their children would be taken into care. Rumours ran rampant throughout families. Families could find themselves faced with the decision to move from the area with their children, or lose their children altogether. Home visits were their only source of securing support from local services; but also came with the weight of surveillance and the potential to become a site of ‘bordering’. These stories need to be heard, and need to be thought about at all levels of policy-making and research. Already, legal migration statuses are becoming increasingly complex. Brexit seems unlikely to reverse the trend. Austerity is still biting hard; and the privatisation of services is creating complex relationships in frontline provision. Marginalised families, like the Roma in Luton, either fall through the gaps or are subject to compassionate bordering in their homes from frontline workers, who often have the best of intentions but are in a harsh and broken system. In this context, the most mundane everyday actions in the home become crucial for how families can secure a safe status in the home-land. As we prepare for troubled post-Brexit times, ‘Home-Land’ raises fundamental questions about the types of homes – and the type of home-land – we want. 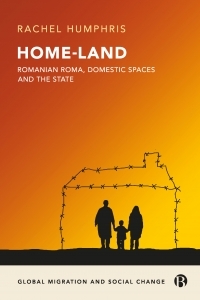 Home-Land, by Rachel Humphris is available on the Bristol University Press website. Order here for £64.00 or get the EPUB for £21.59.